Everyone knows that you’re supposed to see your dentist for regular checkups. But not everyone understands why these routine visits are so important. You might even wonder: If you come in and you don’t have a cavity, is the dental appointment a waste of time? The short answer is: Of course not! A routine dental office visit is much more than just a check for cavities — although that’s certainly part of it. In fact, there’s so much going on in this short period of time that you may not be aware of it all. Let’s look at what happens during a typical visit, so you can see how important a dental checkup can be to your oral health — and, just maybe, to your overall well-being. 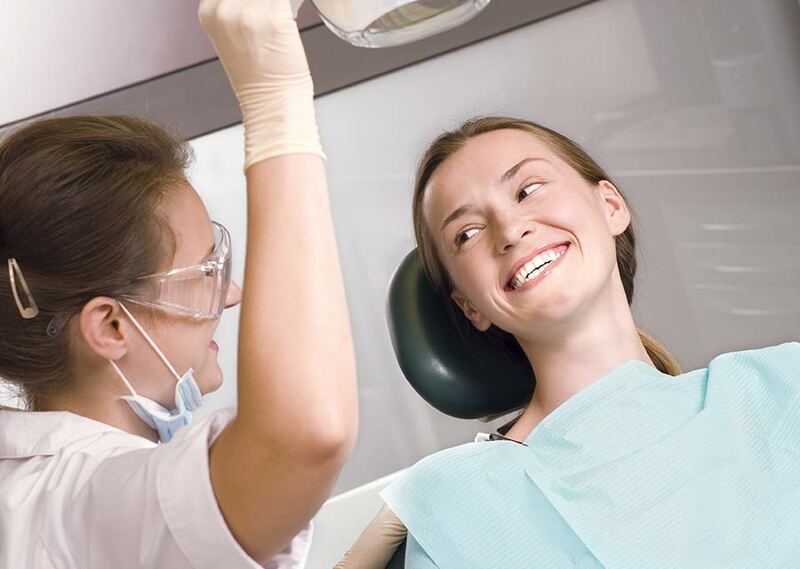 One of the most important things you’ll get at a routine dental appointment is a thorough professional cleaning. Why is this so essential? Because even if you are conscientious about cleaning your own teeth, there are still some areas that you can’t reach with floss and a brush. Your dental hygienist has the professional skills and special tools needed to clear away the sticky, bacteria-rich film called plaque from the most hard-to-reach tooth surfaces. Hygienists can even remove hardened plaque deposits called tartar, which you can’t do at home. Both plaque and tartar will eventually cause gum disease and tooth decay; getting rid of them is essential if you want to maintain good oral hygiene and prevent cavities. After a thorough cleaning, your teeth will be polished shiny and smooth, and your whole mouth will feel clean and refreshed. But that’s just the beginning. There’s much more to your dental exam than just a quick check for cavities. A thorough exam often begins with a screening for oral cancer. While it may not have the name recognition of some other diseases, oral cancer can be deadly — yet if caught early, it’s much more treatable. An oral cancer exam is quick and painless: It involves moving the tongue to examine all areas in the mouth, and checking for swellings in your face and neck. Then, it’s time to move on to the teeth and gums. Your teeth will be visually examined, and small instruments called probes will be used to check for tiny cavities just starting to form. Probes can also be used to determine if you have gum disease: They can measure the depth of “periodontal pockets” that may have formed below the gum line. X-rays or other diagnostic images may also be taken during your appointment, to keep track of the condition of the bone that surrounds your teeth or confirm a suspected problem, such as a cavity or root canal infection. Treatment will be recommended for any problems found. If no issues are found, you’ll get to go home with a sparkling smile. Based on the results of your exam, one or more preventive treatments may also be recommended. For example, growing children are often given topical fluoride treatments to strengthen their teeth and help prevent cavities. In some cases, dental sealants may also be recommended to keep cavities from forming in the hard-to-clean grooves in back teeth. If you have gum disease, you may not realize it… but a dentist will. You may be prescribed oral hygiene aids to use at home — such as anti-bacterial mouthrinses or special floss holders. And as far as your overall health: Did you know that dentists often find signs of other health problems during routine dental exams? Symptoms like an elevated pulse, dry mouth or breathing difficulty may point to diseases in other parts of the body. And certain conditions (like diabetes, heart disease and Acquired Immune Deficiency Syndrome) have signs that may show up in the mouth. So regular visits to the dental office don’t just help preserve your teeth — they might just save your life!